In keeping with the Japanese theme of this season's SPFW, Havaianas created a lounge inspired by a Japanese restaurant with a huge flip flop made of origami tsurus hanging from the ceiling. At the lounge, people were invited to customize their flip flops from a menu of different combinations, and add little trinkets such as Japanese symbols and koi fish. 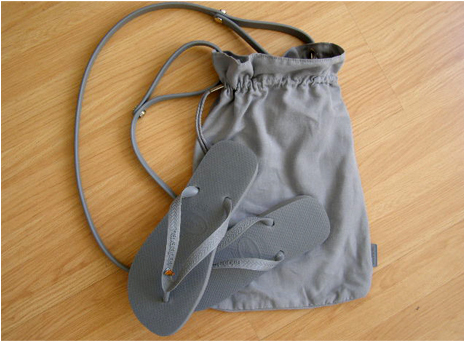 The flip flops came in a matching bag with the handle made of the traditional Havaianas rubber.